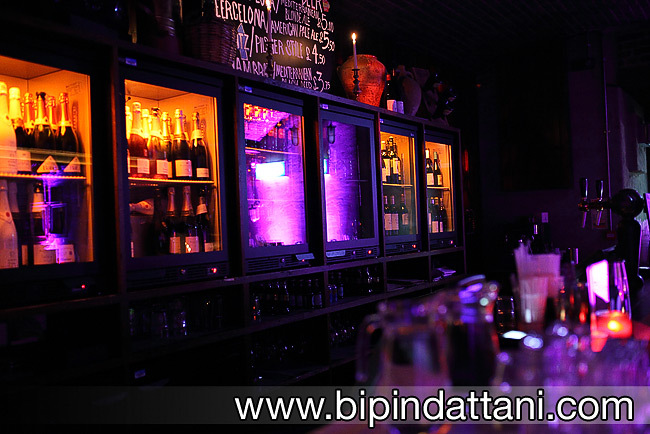 Copa de Cava is a dedicated Cava wine bar on Blackfriars Lane, a stones throw from the St Pauls area in London. Regulars may know that it is part of the Camino group and serves authentic Spanish tapas venue for this private themed birthday party. Having photographed Purvi & Mitesh’s marriage over 13 years go, it was great to be booked to capture the moments from his party. So going from a wedding photographer to a events photographers. Its nice to see that they rated my photos from their wedding day highly to book me to capture moments of a different type on this occasion. 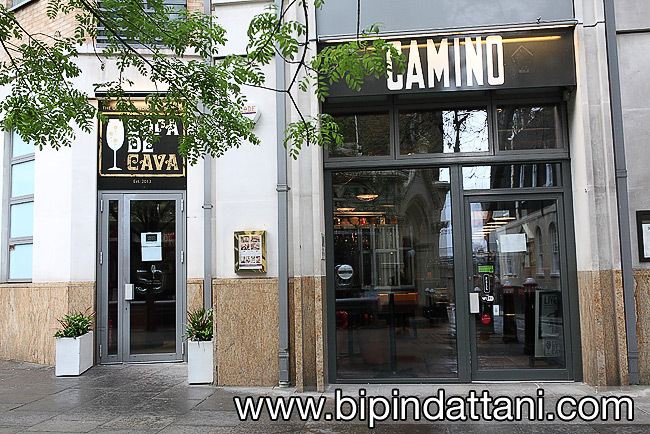 Having arrived early I discovered it was next to Camino Blackfriars and had separate entrance which led to basement. There I met Lisa, the duty manager on this particular saturday night. 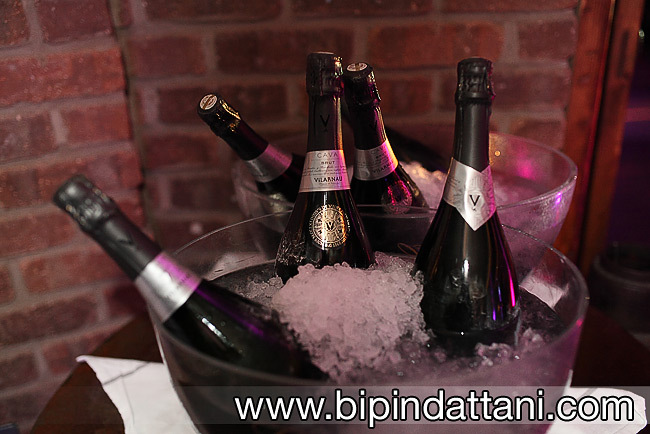 She was friendly and had a team of helpers putting the final touches to the Copa de Cava before the party goers started to arrive. 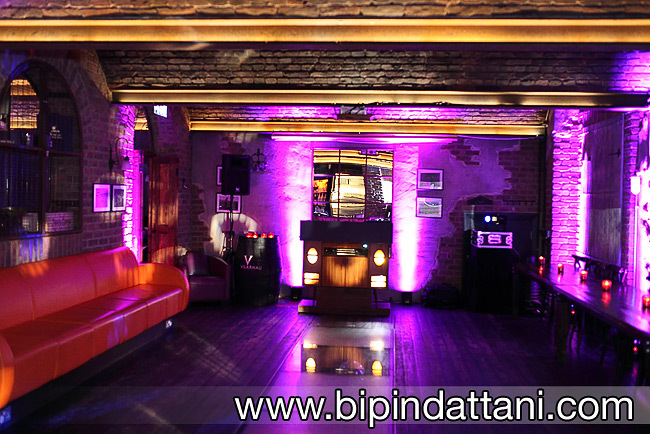 As the DJ Raj have arrived early he had set up the extra lights to give it a great atmosphere for a party. Its show in these picture. Copa de Cava / Camino, 33 Blackfriars Lane, London, EC4V 6EP. This was my first time there and so too for a lot of the guests. 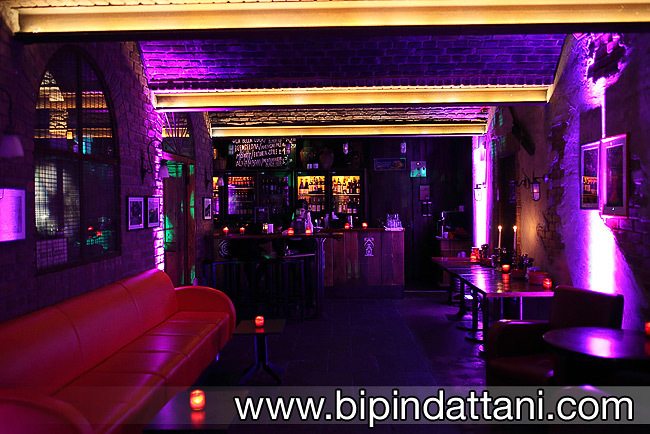 I am sure they would this venue glowing reviews too. All in all a truly lovely place to spend an evening.